There can be no doubt that the demand for double glazing windows remains strong when you see the numbers on some forecasts of size the market in the UK. Figures that we have seen in published reports estimate that the windows & doors sector will be worth £6.24bn by 2019 – that’s a huge amount of money. Interestingly, the breakdown of spending shows uPVC being the dominant one with about 40% of the market, then timber at around 25%, closely matched by aluminium, also at around 25% (“others “at 10%). A little bit of online keyword research will also reveal that there are up to 100,000 monthly internet searches for “Double Glazing” & “UPVC Windows”. To us, this level of continued interest means there are a lot of homeowners who want to know more about buying double glazed windows for their homes, either for a new property / extension, or to replace their existing ones. So here is our guide to the different types double glazing windows in the UK. 1 Double Glazed Windows; what are they? What is a modern double glazed window and how does it work? What are the main advantages or disadvantages of double glazing? Double Glazed Window Energy Ratings. 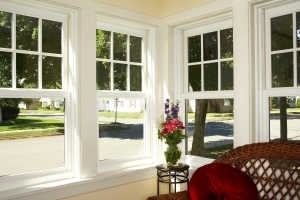 When should you be thinking about replacing your current windows? The most popular types of double glazed windows. What materials are double glazed windows made from? Options such as glazing, colours and finishes. To explain double glazed windows, it’s probably a good idea to review the different components of the average example and describe how they all work together. There are roughly half-a-dozen main components of a double glazed window with each element contributing towards both the appearance and performance of the overall product. Quite a few items can be modified and will impact upon the window to varying degrees. The primary construction material for the frames – wood / aluminium / uPVC. The glass – optimum at 4 mm thickness but can be modified to suit. The gap between the panes of glass – ranging up to 20 mm from 6 mm. Standard gap set to 16 mm. Spacers – the internal edging separator strips that hold the panes of glass apart. Desiccant – usually hidden inside the hollow spacer bars, this is to absorb any moisture and prevent fogging. Inner and outer seals – flexible strips fixed to beading to seal weather proof the glazing & silicone seals around the frames themselves. How does a double glazed window work? There are three areas that are key to the success of the modern double glazing windows and they are insulation, noise reduction and security. The high levels of insulation come primarily from the the sealed glazing unit and the most important element is the gap between the panes of glass. If the gap is a vacuum, or partial vacuum, it is a poor conductor of heat with little or no ability for circulation of gas and convection of heat or cold. The same can be said for a dense gas like argon, it does not transfer heat well and, is so dense, it makes it very difficult to create convection currents within the sealed unit. A beneficial by product of having 2 panes of glass with a vacuum, or dense gas between them, is sound deadening. Sound cannot travel through a vacuum and dense gasses transmit sound poorly. The separation of the glass panes also aids sound deadening properties. The third element is improved security – 2 panes of glass are more difficult to break than 1, and a double glazed sealed unit is inherently more difficult to break than you would expect. Other elements include locks that engage on multiple points around the frame, and the windows are always “glazed from the inside”, which means the beading clips are not exposed to removal by intruders. Increase or decrease the “air-gap”- this will affect insulation and sound deadening. Spacer bars – using warm edge spacers improves insulation. 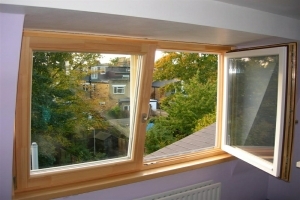 Using gas filled sealed double glazed units – this improves insulation. Low-e glazing – this improves insulation. Using thicker, toughened or laminated glass – this improves security. Noise pollution from outside of the home can drop by more than half. That’s almost the difference in noise between being in the high street or a library! No Infra-red (heat) & Ultra-violet (fading) damage to interior. No more faded curtains or sofa’s. Better property security form multi-point locks. Keeps out unwanted visitors. Wide range of attractive and practical designs. You can always find something to suit your home. Can boost the value and desirability of your home. Always a good thing. It costs more than single glazing. Some lower rated double glazed units can actually trap heat inside you house. More expensive than single glazed windows to buy. Repairs are more expensive than with a single glazed window. Replacing a double glazed unit is much costlier than fixing a single pane of broken glass. In years to come you could find it difficult to resource spare parts leading to have to fully replace the window instead of just fixing it. Its less effective than triple glazing (but cheaper). Modern double glazed windows all carry a rating label which identifies the level of energy efficiency for the unit as a whole, it’s not just a rating for the glazing. Labels will usually rank the window from A-G (some go as high as A++). 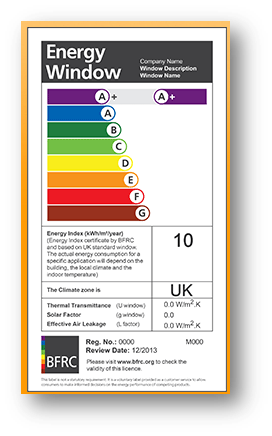 A rating of C is the lowest you can fit and meet current UK building regulations. One of the things with the biggest impact on energy efficiency would the glazing unit itself. A double glazed sealed unit will usually be made from 2 x 4 mm thick panes of glass and the cavity, void or gap between the panes of glass can go from 6 to 20 mm in width. It follows that the wider the gap, the more insulating the sealed unit becomes, but only up to a certain limit. If the gap becomes too wide it promotes circulation of the gas within the unit and that causes convection currents which lower the insulation levels. A 4-20-4 sealed unit means it is made from a 4mm pane of glass, then a 20mm gap, then another 4mm pane of glass. The gap can be filled with Argon or other inert gasses (xenon / krypton) to make the unit more energy efficient. The Window Energy Rating, as mentioned above, applies to the whole window, not just the glass section. It basically gives you information on 3 key areas. As a general rule of thumb, you could aim for the lowest (best) U-value within your budget. 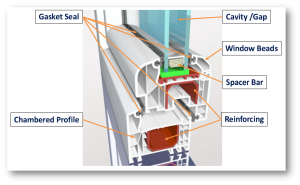 There are some modifications that can be made to get better performance from the double glazed unit itself, the most often applied being gas filled centres and low-emissivity glass. By filling the gap between the panes with a “heavy” inert gas such as Argon it greatly reduces heat & cold convection from one side of the window to the other because its’ conductivity is around 60% to 65% less than “fresh air”. Sometimes gas is introduced into the sealed unit under pressure. 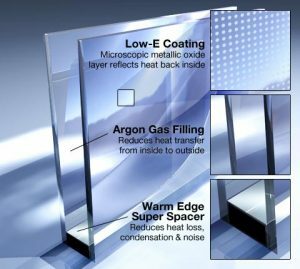 Low-emissivity glass has a microscopically thin coat of a type of metal oxide which makes it “reflect” heat. Typically it can be fitted to the inner face of the inside pane of glass, but can also be used on the outer facing side of the outside pane. How to find a reputable company to supply & fit double glazing? With the reputation of double glazing salespersons having long been the subject of many a joke (even though these-days it is much, much better), it is a concern to many that they may end up with a “cowboy builder”. Here are some simple steps you can take to guide you to a reputable double glazed window installer. 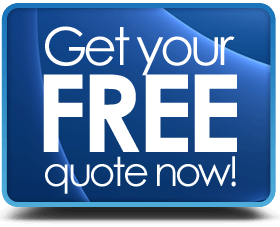 Let us arrange the quotations for you – we only deal with reputable installers. Look for accreditation – A FENSA, CERTASS, GGF or DGCOS accredited installer have been independently assessed as competent. Ask for references from recent customers (and check on them). Happy or even unhappy clients can give great insight. Get several quotes from different installers – you can spot a “wrong-un” or see who’s deal is too good to be true or negotiate a better deal. Don’t be rushed – take your own time to make a decision. Any reputable company that is offering a fair deal will be more than happy for you to take your time. If someone is pushing you to make an instant decision, you should not let yourself be pressured to do so. If the deal is genuine, it will always be there tomorrow. On the subject of quotations, you should get them in writing, then there is no uncertainty about what you are getting for your money. There are going to be some very obvious signs that your windows need replacing and some that you think you can manage to live with by just doing some repairs. Whichever it is, the fact remains that once your windows start to fail it’s going to start costing you something. That cost could be in the time it takes for you personally to attend to the issue or it could be the in the cost of getting an expert to repair the issue – usually it’s a combination of both. An older, badly functioning window can not only cost you money to fix, but it can also let in water causing damp & condensation or let out your heat and allow draughts in, thereby increasing your energy bills. A damaged window can also be a target for opportunist burglars. So it may cost more in the long run to do a “quick-fix” repair than to replace the whole unit at outset. They are clearly broken – the window frame has completely failed. Timber windows suffering from wood rot. Loose or insecure window beads. Sealed unit failure combined with excess condensation or damp ingress. The windows don’t open or close properly. Can’t find replacement parts anymore. You get a lot of draughts, condensation or even frost on the inside the window. If they are single glazed or they just look bad and have been neglected for a long time. What are the most popular types of double glazed windows? What does each style look like and how does it function? Broadly, although there are many variations of them, it can be said that there are four main double glazed window designs. The four styles all have distinct features that make them simple to distinguish from each other. Primarily we can separate them by “form & function”, in other words, what they look like and how they open and close. A pair of matched casement windows fitted side by side into a single frame. Usually opening outwards from the middle. Some can have a centre mullion (vertical bar), but it’s not compulsory. You get an uninterrupted view without a centre mullion. Probably the most popular type of double glazed window. The casement is the opening section which is usually opens outwards and is hinged on the side. You can get top hinged or bottom hinged, which are called awning & hopper casements. The key feature of a Sash window is the opening function is a vertical sliding action. Traditional box sash designs are usually seen in period homes, but modern slimline sash windows are also becoming fashionable in modern properties. In terms of the window frames, the three materials used in the vast majority of double gazed windows will be wood, aluminium or uPVC. As previously commented upon at the beginning of this article, around 40% of new double glazed windows fitted in the UK are made from uPVC, with wood and aluminium accounting for around 25% each. There are 3 different options for timber frames and they are softwood, hardwood or engineered wood. Softwood frames need a lot of “TLC” to keep them in shape. Regular maintenance such as sanding down and repainting is essential to keep them in good shape. They are also very susceptible to insect attack (woodworm) and, unsurprisingly, wood rot. They are, however, low priced and therefore inexpensive (relatively) to replace with another softwood timber window if they fail. Hardwood frames are much more durable, but they are costlier than softwood. You will still need to look after them quite a bit in order to maximise their lifespan (staining / painting / treatments). The attraction of hardwood is that it is natural, with many homeowners using it in preference to metal or “plastic” for this reason alone. It does last a very long time if you look after it properly. Engineered timbers have gained much ground in recent years due to the relatively reasonable pricing and the excellent properties of the material. Made from a composite of different pieces of timber bonded together then machined into shape, the wood is factory treated with preservatives (environmental friendly ones!) to give it a long lifespan. The tendency of engineered wood to warp, shrink or expand is greatly reduced making it a very stable timber to use for windows frames. Contemporary aluminium double glazed windows are so different in styling and so much better in performance than the original designs that came out “way back when”. Slim, sleek, strong, visually appealing and energy efficient, they represent a formidable product. Aluminium profiles can be all aluminium or there are engineered timber / aluminium lad versions (aluminium outside, timber inside). Not subject to the same distortion or rot issues as timber, aluminium windows are an excellent choice, but they can be costlier than timber or uPVC. As the most popular frame material, the choice of designs and levels of availability are huge. Combining visual appeal, low cost, durability, long lifespan and energy efficiency uPVC double glazed windows represent an ideal solution that offers value for money. 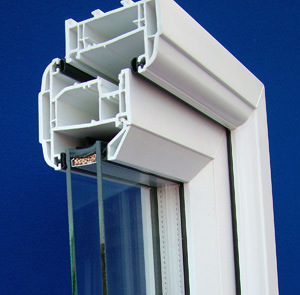 Similar to aluminium windows, uPVC is not prone to major expansion, contraction or rot. The maintenance requirements are also quite low. Choose double or triple glazed units. 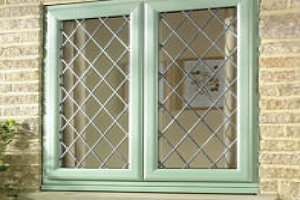 You can fit coloured glass, leaded glass or obscure & patterns. Strengthened glazing – either tempered or laminate. There are many colours, including the option for dual-colour. The surfaces can be smooth or wood-grain for uPVC & Aluminium. Timber, Aluminium or uPVC frame options. Choose which section opens and which is fixed. Typically, from C to A++ Window Energy Ratings (WER). 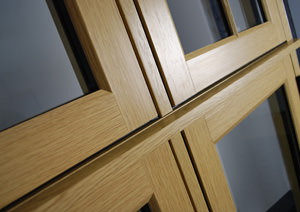 There are many examples of good double glazed timber windows in the market, including hardwood and engineered timber. Of course, wooden windows can be painted or stained to suit your style. Bays and bows are picture-windows, very often seen at the front of a property and are of the projecting window style, meaning they extend outwards from the property. The main difference between the two styles is that Bay windows are square or angled, whilst Bow windows are curved. Both styles can make good use of casement or sash windows in their appearance. Timber, aluminium and uPVC double glazed windows are all priced differently. Although you could say that, in general, softwood windows are at the lower end of the price range, uPVC windows in the middle, with hardwood and aluminium windows at the upper end of the price range. You will have a “base price” for any given standard style or size of window and then you will find that there are “add-on” costs for things like extra opening sections, solar glass, premium window furniture etc. A 4 bed detached house with 12 casement windows can cost between £4,500 to £6,000. French windows sized 500 x 1000 mm range from £450 to £500 and 1200 x 1000 mm sizes from £500 to £600. Sash windows cost for a 600 x 1000 mm installation range from £200 supply only, to £300 for a 1500 x 1000 mm unit, also supply only. 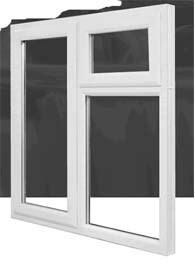 Tilt & Turn windows prices for a supply only 900 x 1000 mm unit start from £250 or from around £500 for a 3 pane window 2400 x 1200 mm. A Small Collection of Frequently Asked Questions. What is the best frame material to use for double glazed windows? There is no easy answer to this question, the best material to use depends upon your preferences and possibly your budget. Aluminium – strong and long lasting. Modern examples are very sleek, but they are relatively pricey compared to wood & uPVC. Basic repairs to a double glazed window are not included in building regulations, but new installations or complete replacements are. If you are using a FENSA or CERTASS installer, they will certify the windows for you as part of the job. What about windows made from engineered timber - are they any good? 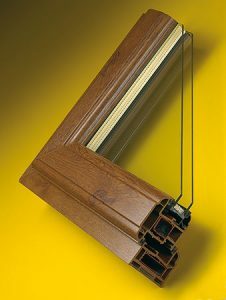 The use of engineered wood for windows has increased of late. This composite timber is made from layers of wood laminated together in different directions. This means it does not really have a “grain” as so becomes very stable. Without a detailed inspection, for all intents and purposes it’s not possible to tell engineered wood from natural wood, it will look exactly the same as natural wood when made into a window. It also tends to have high resistance to shrinkage and expansion, and in our opinion is an excellent material to use for double glazed windows. Are all double glazed windows guaranteed? It would be strange to find a double glazed window product that did not carry a guarantee. Just check to confirm to know who is the guarantor for both the window itself and the installation work. How much deposit should I give upon ordering new windows? The actual percentage deposit is going to be subject to the terms & conditions of sale offered by your installer / supplier. Some installers do not ask for a deposit, some may ask for 50%, Somewhere around 15-20% would probably be acceptable to most. 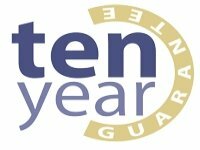 Make sure your supplier offers insurance backed guarantees. Pay deposit by credit card if you can (better protection for you). If you sign a contact at home, not in their office, you should have 14 days to cancel and get your deposit back in full. If the job is not complicated and there are no snags, a decent team could do the work in 3 to 5 working days. Why Not Let The Professionals Take Care of Everything?